Planning your Wedding or Special Event? Don’t make it a hassle. Make it a CHIC OCCASION! 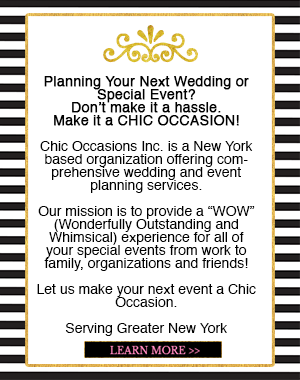 Chic Occasions Inc., is a New York based company offering it’s clients comprehensive Wedding and Event Planning Services. Our mission is to provide the WOW (Wonderfully Outstanding and Whimsical) Experience for all of your Special Events from corporate to intimate lifetime celebrations. 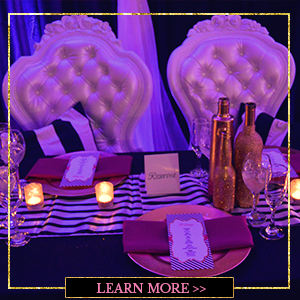 Let us make your next Event a Chic Occasion! 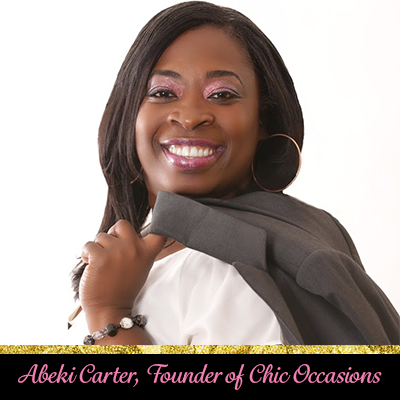 Abeki Carter, MPA, CWEP is the CEO and President of Chic Occasions. From an early age helping her parents run a successful party planning business in Brooklyn, Abeki became a “fan of fabulousity.” Fifteen years later, she is still living the dream. With deep roots in event planning, she quickly discovered her passion and talent in selecting decorations, coordinating menu selections and creating ambiances based on customer needs. This passion and talent is the heart of Chic Occasions. Abeki earned a Masters in Public Administration for Marist College and a Bachelors in Marketing from SUNY College at Old Westbury. She is also certified in Fundraising Event Management (Event Leadership Institute) and Payroll Management (New York City Office of Payroll Administration). In 2012, Abeki earned a certificate in Wedding and Event Planning (Lovegevity Wedding Planning Institute) where she is currently an instructor. 2014 has been an exciting and successful year for the breakout organization. Our most recent WOW includes assisting at a book launch for Real Housewives of New Jersey star, Dina Manzo. We’ve also volunteered our services with Brides against Breast Cancer, an organization contributing to programs for cancer patients, families and caregivers. We believe in perfection. The Chic team specializes in pushing boundaries to ensure that every event has a tailored focus, flair and fame. 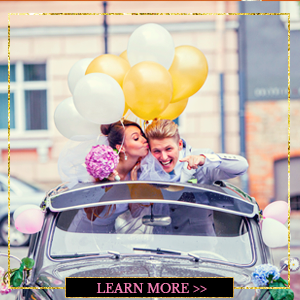 Chic Occasions is committed to making your big day, the best moment ever.